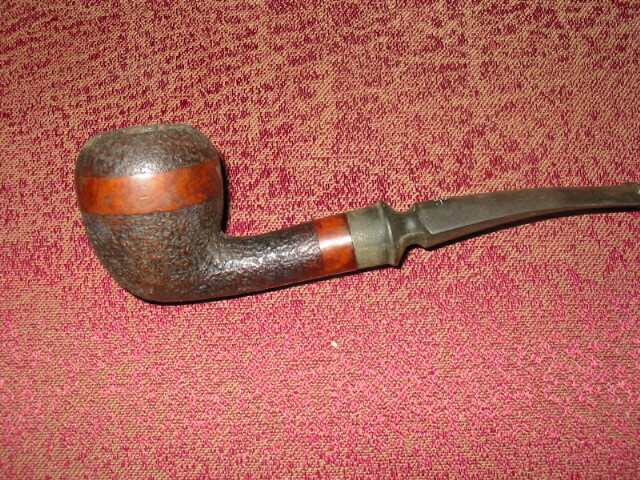 This little pipe caught my eye when I was going through my box of pipes to be refurbished. It is stamped Jarl and is in what they call their Ribbon finish. It an acorn shape with what for all intents and purposes looks like a Celius style stem on it. It is light and clean. The bowl needed a good reaming – a bit of a trick as it is a conical bowl. 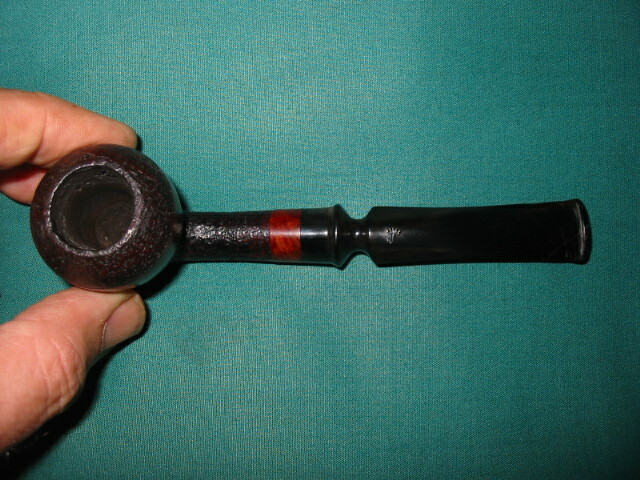 I used several of the PipNet bits on the T handle to ream the bowl. The finish was faded and dirty. The inside of the shank was tarry and dirty and the inside of the stem was the same. 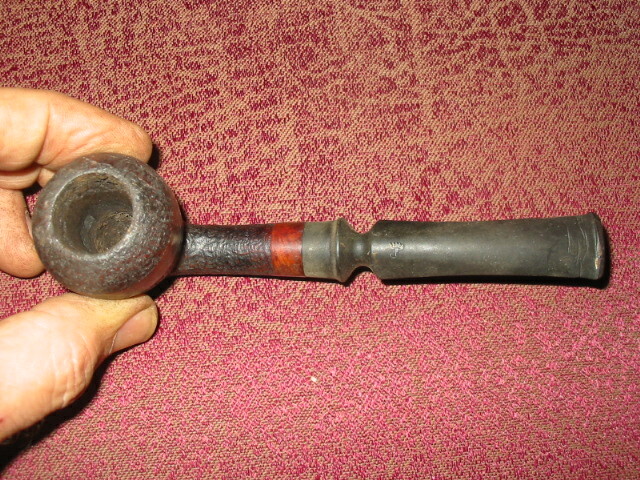 The stem was oxidized and the original owner had modified it by carving some horizontal lines (3x) on the top and bottom of the stem to make kind of a homemade dental bit. He had also used some Elmers Glue to repair the button where he cracked it trying to put a pipe cleaner through it. The glue was all over the top of the stem. I scrubbed the bowl with some Murphy’s Oil Soap and a soft bristle tooth brush to clean out the grime and dirt from the sand blasted portions of the bowl and shank. I scrubbed the ribbon or smooth portions with a cotton pad and Oil Soap. It took a bit of scrubbing to remove the tars from the rim edge and restore the finish there to a clean colour. I ran it under a clear stream of warm water to wash away the soap and then dried it off with a microfibre cloth. Once it was dry I decided to restain it with an oxblood and black stain on the blast portion and a nice oxblood/cherry on the smooth parts. Before staining I cleaned out the shank and airway with cotton swabs/qtips and bristle pipe cleaners to remove the grime. I finished with fluffy pipe cleaners. Once clean it was ready to be stained. I first used a black aniline stain and then flamed it. I took it to the buffer and buffed it with Tripoli and White Diamond to remove the black stain from the smooth surfaces and from the high spots on the blasted portion. Then I restained it with a top coat of oxblood/cherry stain, flamed it and then buffed it with White Diamond to get a good contrast colour to the bowl. The stem took some work. I was able to sand out the homemade cuts without compromising the thickness to much as they were fortunately not too deep. The cracked button was a challenge. I cleaned off the Elmers Glue and then scrubbed the crack clean with alcohol and a soft brush. I picked out the bits of glue that were in the crack with a dental pick. I dried the area and then repaired it with Super Glue. It came out looking like new. 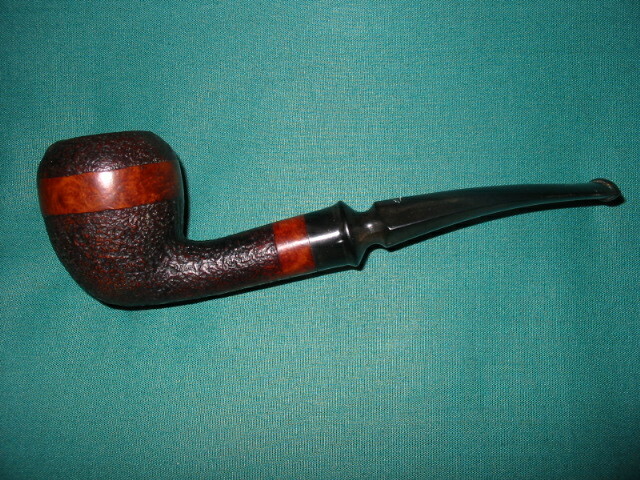 The stem was buffed with Tripoli and White Diamond after sanding. The entirety was given a coat of Halcyon II wax and buffed with a shoe brush. Some sad news came back to me regarding this beautiful little acorn pipe. When I finished working on it I gave it away to Desertpipe as a gift. He loved the look and feel of it and appreciated it for what it is. Then one day after using it the cracked portion of the button broke off entirely. 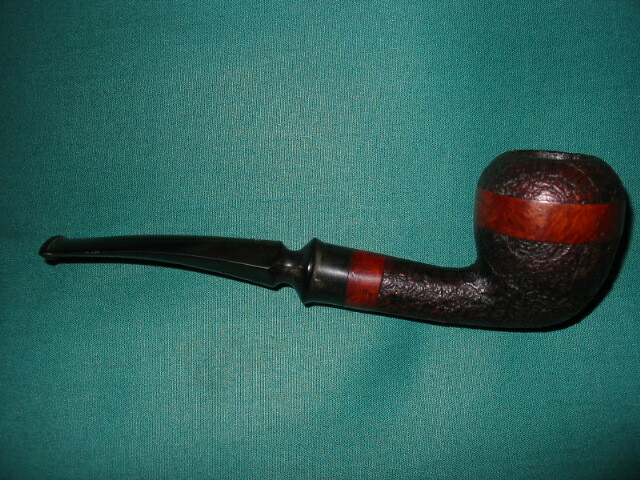 He sent the pipe out to be restemmed. I am looking forward to the day it is finished and he sends me some pictures. This entry was posted in Pipe Refurbishing Essays and tagged contrast staining, Jarl Pipes, Jarl Ribbon Finish, Oxidation, polishing sandblasted pipes, restaining a bowl and rim on January 25, 2013 by rebornpipes.